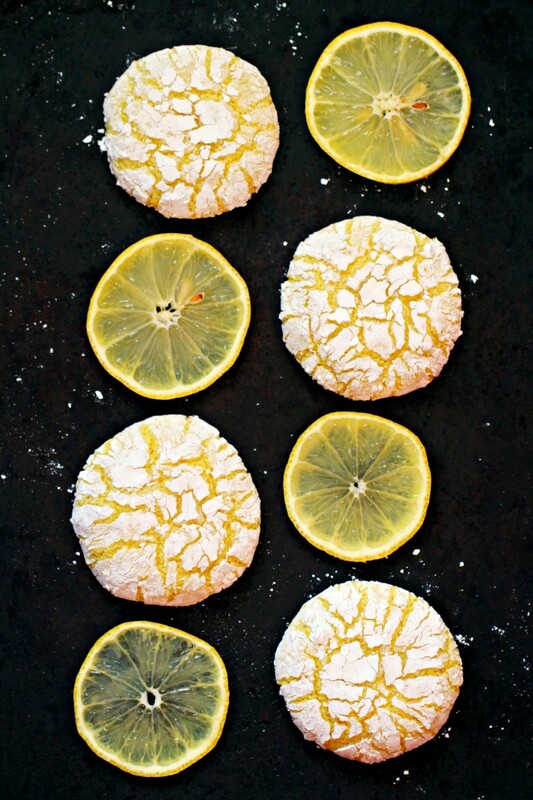 Lemon Crinkle Cookies - Frugal Mom Eh! 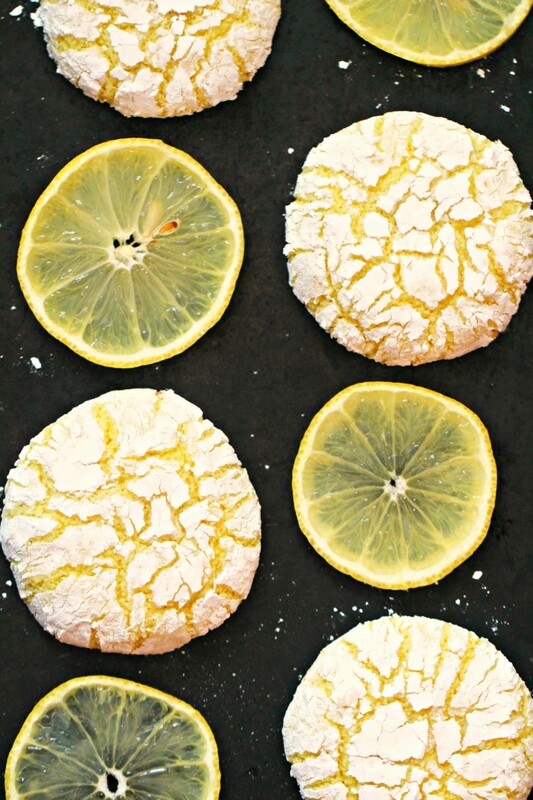 These melt-in-your-mouth Lemon Crinkle Cookies are absolutely dreamy. 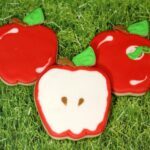 This cookie recipe is one of my favourites, I could have these for dessert everyday and be happy! I love lemon. There is just something about that tang and sour sweetness that is just so satisfying. I cook and bake with lemon often because I can’t get enough. I buy lemons by the bag and eat about half of them myself. It’s funny because my girls love to eat lemons too, and I am pretty sure that might be a bit unusual. 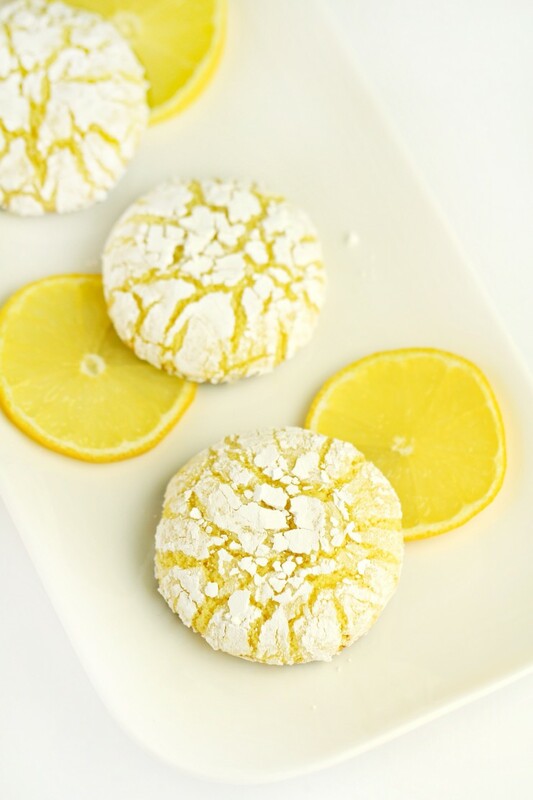 In any case, even if you aren’t apt to just bite into a lemon, you are sure to love these Lemon Crinkle Cookies. 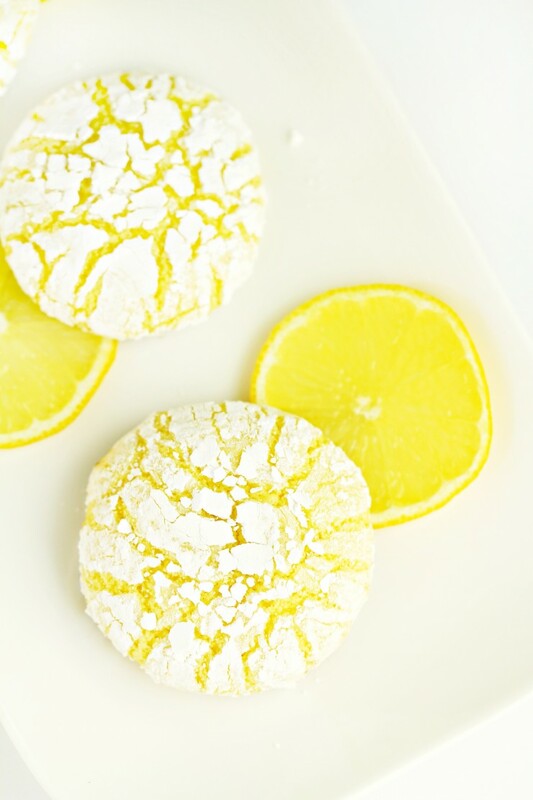 These lemon crinkle cookies just melt in your mouth. They are a little bit cakey with a super soft texture that is absolutely dreamy. I honestly have the hardest time not eating an entire batch at once. In a medium bowl, sift in flour, baking powder and salt. Set aside. In a large bowl, cream together butter and sugar then mix in egg, lemon juice, lemon extract, vanilla extract and 5-6 drops of yellow food colouring. Pour powdered sugar onto a plate. Form 1 inch balls from dough and roll them into the powdered sugar to coat well. Place balls onto baking sheet about 2 inches apart. Allow to cool on the baking sheet slightly before transferring to a cooling rack. 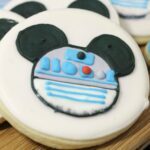 These sound like my kind of cookies. I love anything with a lemon flavor! I cant wait to treat myself to these babies on the weekend. 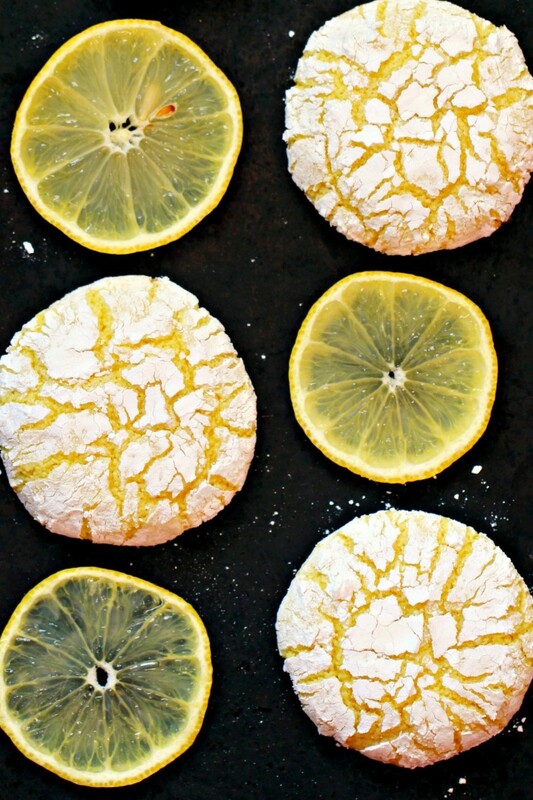 I love lemon so these sound really good to me, can’t wait to try making them! I’m not a big fan of anything sweet but if you make it lemon, I will eat it! Lol! I love lemon too. Was it on your blog? successful Lemon Loaf Cake. It can be made very quickly, and NEVER fails. No joke, I was musing just a few days ago about how much i love lemon, lime, citrus, etc as flavorings. I am definitely making these this week! 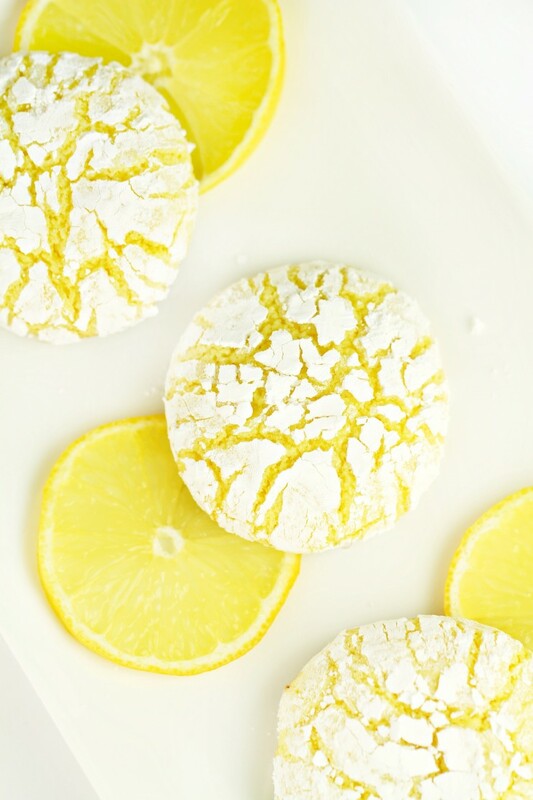 Lemon bars are one of my favorite desserts, so I’m sure that I would like these too! I’m going to try to make these. They look delicious and simple to make. These would be refreshing and decandent. I love lemon. These look delicious. I have only tried the chocolate ones. I’m making these today for my cookie exchange. The dough did not form into ball very well? I am making these now. The dough is very sticky even after chilling. I’m wondering if the ingredients are accurate, in particular, the flour? Yes, it’s meant to be sticky. How long would these keep? 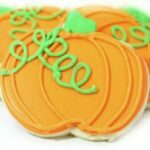 I need to make 300 of these, can I prerolled cookies a wk ahead keep in freezer n bake it later? Hi, I tried this recipe exactly as per the instructions, however the cookies were too soft even after cooling. How to make them crunchy? Please help. Though it smells heavenly. Yes, you can freeze the unformed dough. I haven’t tried freezing the caked cookies, not sure that would work well because of the powdered sugar when they defrost? I found 2 cups of flour was not enough. The dough was more of a cake batter and could not be rolled into balls and the cookies did not crinkle. Even after refridgerating. I made another batch. I used 2 1/4 cups flour and refrigerate overnight. The dough was easier to roll and the cookies crinkled. I made these and they have become an immediate Christmas favorite. Like the chocolate crinkle I put the dough in the fridge overnight (or a few hours) to make it less sticky and bake to perfection with a crunchy outer and a soft gooey inside. We all love lemon so next time I will add lemon zest and double the lemon extract but use lemon oil instead. Like I said we love lemon. People liked them better than the chocolate ones and I usually can’t make enough of them! The flavor intensified as they set, better the next day or after freezing. I made these yesterday for a party. They were annihilated! As soon as people tried them, they took my container from the kitchen to the sofa where we were all sitting and ate them all. Absolutely nothing left. I followed the recipe, but mine were all more puffy than in the picture, and there weren’t any crinkles because most of the powdered sugar melted onto the cookies themselves. Still amazing though! Oh, but I also omitted the food coloring from mine. I made these yesterday and they turned out perfectly. They taste even more lemony today than they did yesterday! Love these lemon cookies, although I made a double batch at once and added an extra cup of flour because the dough seemed too soft. I also refrigerated the dough for a couple of hours before baking. Then I used a one inch cookie scoop and dropped the dough directly into the powdered sugar. Will definitely try these again! Thank you for the women who fixed the crinkle roll problem. Now if only I can figure out if I can freeze them?! I need three hundred for an Alex’s lemonade stand next month. Definitely more lemon 🍋! I make these kind of cookies at work every week and I freeze half of them for catering. I have never had a problem but I do put parchment or little wax paper squares between every cookie to insure they do not stick together. cool complete before freezing and remember to lay flat. They are a fragile cookie. I have never had a problem with the powdered sugar when defrosted it looks like I just baked them. I couldn’t find a solution to the crinkle problem do y’all mind sharing one with me? 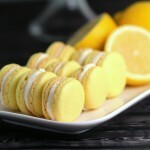 Made these the past couple days and they are a huge hit (even for my family who doesn’t like lemons). Like others, I found the original listed recipe to be way too sticky/soupy. I found that by adding 1/4 cup more flour (total of 2 1/4 cups) was just right (still sticky but able to form balls). I’m also at high altitude, in case that makes a difference for other folks. They did turn out a little smaller and puffier, but they tasted WONDERFUL. I was making lemon extract (using the rinds of 12 lemons), and couldn’t find a use for the lemons themselves until I found this recipe. It’s now written down and has become a part of my recipe box for future. Thank you so much for posting it! The trick to making these perfectly delicious beauties is by using 1” cookie scoop. Drop scooped cookie dough in bowl of powdered sugar. I used teaspoon to toss in the powdered sugar then used the same spoon to transfer dough ball to cookie sheet. These cookies turned out tasty, but they are definitely NOT “lemony” at all. They taste more like a vanilla sugar cookie. I would highly recommend doubling the lemon juice and extract. Also, 5-6 drops of yellow food coloring does nothing. Next time I’ll try about 8 drops and much more lemon, even adding zest.